Shaiman Anwar (right) and Mohammad Naveed (l). 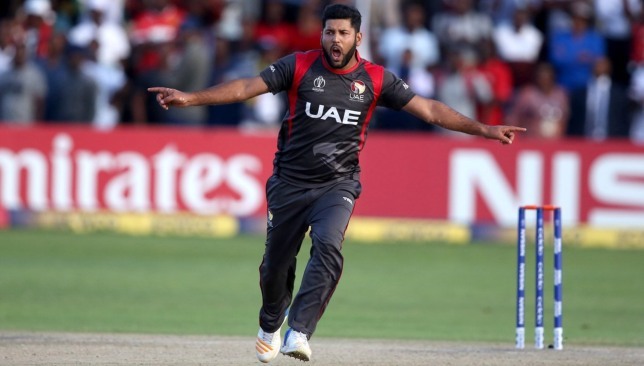 UAE batsman Shaiman Anwar and seamer Mohammad Naveed were placed 15th and 12th respectively in the latest ICC T20 rankings for batsmen and bowlers, respectively. The UAE lost a closely fought T20 series to Nepal recently 2-1. Anwar made fine contributions of 59 and 30 against Nepal while Naveed, who is currently leading UAE, was sensational with figures of 2-19, 1-18 and 2-6 (10-over game). 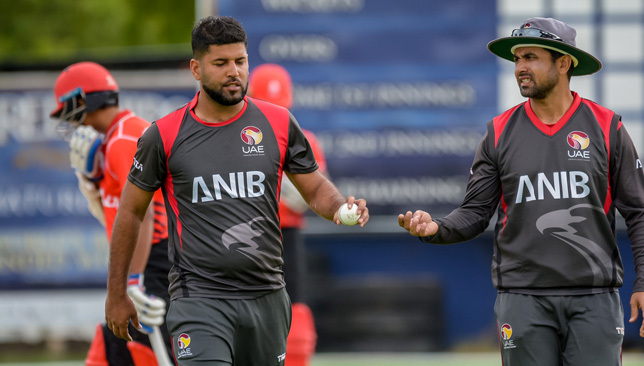 The two UAE stalwarts are now among the highest ranked T20 players in the world, although they haven’t played regularly against top T20 nations. Anwar is placed 15th on the T20 table for batsmen, which is four sports above India captain Virat Kohli who is placed 19th after he missed the T20 series against New Zealand. Seamer Naveed is on a highly respectable 12th spot, which is five spots above India T20 specialist leg-spinner Yuzvendra Chahal. The T20 batsmen table is topped by Pakistan star Babar Azam while the bowling charts is led by Afghanistan leg-spinner Rashid Khan. 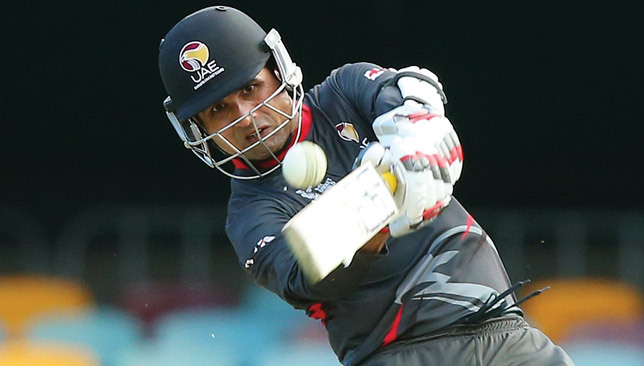 It came down to the third and final T20 to separate UAE and Nepal at the ICC Academy. After a closely contested ODI series that Nepal edged 2-1 – their first-ever series victory – the UAE were seeking to end this tour on a high. After a rare spell of rain over Dubai interrupted the start, the game was shortened to 10 overs-a-side. The UAE managed to restrict Nepal to 104 and started well in their chase, with Ghulam Shabber (25) and Shaiman Anwar (30) firing. However, they came undone after losing the wicket of Muhammad Usman at 60-3, and were well behind the required run rate before finishing on 90-8 – 15 runs short of the target.